Scholarship is a financial assistance awarded to a candidate for helping him/her in further studies. This pecuniary aid is awarded to candidates on various criteria’s set by the authority which is providing the pecuniary aid. The scholar is not required to repay the amount of economic aid. Many stipends are offered annually by the develop countries for the learners from developing countries to helping them in their studies. 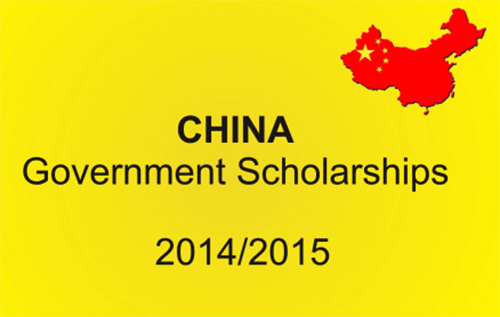 The scholarship council of china announced a number of grants for Pakistani and international scholars. This pecuniary aid is awarded for PhD program for the academic year of 2014-2015. The amount of grant awarded covered accommodation, insurance, establishment stipend and monthly allowances. The grants are available for the students of civil and Hydraulic engineering. Applicants apply for this economic aid electronically and last date of application submission is 30th April 2015. Chongqing municipal is offering another opportunity to Pakistani students in the form of financial aid. This assistance is given to all study programs of all level (Undergraduate, Postgraduate). For applying to this assistance, scholars required to submit all application related material directly to the office of international scholars, University of Chongqing before March 30, 2015. Government of China inviting application from Pakistani pupils to study in China for Undergraduate degree in Civil, Electrical or BBA Programs at China Three Gorges University. The medium of study is English. Economic aid is awarded for the whole study years of EE and Civil Engineering but for BBA programs awarded for only 1st year. Applicants are required to provide all related documents which are mentioned by the CTGU for admission. Yes, there is scholarship for M.Phil students. Sir I want M.Phil or MS in computer Scince. plz Help Me as soon as possible. I have updated procedure with in one week. This scholarship is for next year 2015. There is engineering scholarship for Pakistan Students. I shall be updated later. Scholarship will available for all program but for 2015. Hi .. Sir i want to Further sTudy after comleting Master Degree of Environmental science. is it Scholarshp availablet In environmentalt science for Mphil.I want study … Plc Inform me … How i can apply?? I will updated all information soon. Yes, there is scholarship available for the students. We will updated all information later. Yes, you will apply for M.Phil Scholarship. I have updated all scholarship soon. I want to get engineering scholarship in China in good university how can I apply please guide me. Yes, you will eligible to apply for Software Engineering. We have updated information later. Sir can i apply for electrical engineering.. Yes, you will apply for scholarships. I will updated all information later. from where i will get form ? How are you, i need some information regarding to develop the career of FINANCE, i have completed my MBA-Finance, and want to develop my career, I’m also servicing in banking sector. hope you answer soon. and please text me on my e-mail address. Sir,I am a Student of BBA(Hons).I want to continue my study,I want to got Admission in M.S Finance Please Sir send me a full procedure. There is scholarship available for MS Finance in China. You need to prepare all your education documents and secondly, must pass IETS with minimum 6 bands. Admission session Aug/Sep and beginning of classes will in the month of Nov/Octo. is klye bhe aply kr skta hon linguistics aur literarure mn.plZz guide me. 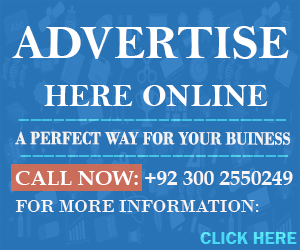 Yes, iqbal khan their is scholarship for many applicants at Ph.D level. Yes, their is scholarship available for student who want to apply for M.Phil. salam sir how I can apply for m.phil in statistics kindly guide me. I have qualified Bachelors of science in Mathematics from University of Sindh Jamshoro Pakistan..i need scholarship for Masters in Use of Mathematics in biological sciences.kindly guide me. hi sir I have completed my Bs with statistics and now I want to apply for m.phil through scholarship base plz tell me about m.phil with statistics. Sir I want to study in software engineering in China is there any scholarships? sir i want to know for mphil scholarship…is there any scholarship? and what is the process to apply? I want to do m.phil in business administration. how to apply for scholarship? i want to apply for ms in computer science or in mathematics field so how can i apply for scholarship for 2017.
i want to apply for scholarship program of MS/M.Phil. Please advise me with fully procedure. sir i want to apply for m.phill in statistics so how apply for schlorship for 2017 ??? IS THERE ANY FULLY FUNDED SCHOLARSHIP FOR ME(CHEMICAL)? AND HOW MUCH AMOUNT YOU WILL GIVE FOR THAT PROGRAM?? AND HOW WE APPLY FOR THIS?? sir I want to apply scholarship for MPhil in international relation is there fully scholarship ??? sir please i want a scholarship for M Phil in hematology or histopathology …i am Bsc(Hon)graduated pathology. I m Bs computer science student form Pakistan and i want to apply for Ms scholarship .please inform me.